Our 3 year musical theatre degree level course has been designed for aspiring performers and will provide you with the technical training, experience and industry knowledge you need to maximise your employment opportunities and achieve a successful and sustainable performing arts career. We accept applicants from as young as 16 depending on talent and ability. 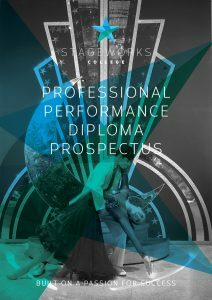 If you’re driven, self-motivated and have the passion to learn and succeed then Stageworks is the place for you. This three year professional performer company course offers full-time specialist training in singing, dancing and acting to prepare you for a career in the performing arts industry. You will train with us for 35 hours per week, covering a multitude of areas including technical training, jazz technique, musical theatre dance, classical ballet, lyrical ballet, contemporary pas de deux, partnering commercial technique, pilates, cardio, private singing lessons, ensemble singing, acting through song, monologue preparation, script work, improvisation, voice, stage combat, professional practice, audition repertoire, music theory, acting for screen and musicals, theatre in education, pantomime, corporate & function entertainment. In addition to providing high quality and affordable training, you will also train as part of a small class. We believe feedback and individual attention is crucial to your development and find it difficult to justify the purpose of large class numbers. You will find this factor encourages an additional intensity to training on what will already be a packed timetable of classes. As well as being taught by our in-house specialist team of tutors and professional experts, you will also attend regular workshops and mock auditions hosted by visiting choreographers, MD’s, performers and employers. This means that not only will you be learning from the best, but you will also have the opportunity to make a good impression and build a network of industry contacts. From September 2018 we will be introducing an optional teaching qualification into our Company programme. This will be completed towards the end of the course and will give you another string to your bow when you start working professionally. Directing your training towards professional performance means that it is essential for you to regularly practice performing in front of an audience. With fewer students alongside you in classes at Stageworks, you can expect a greater chance of being profiled in performance opportunities provided by us throughout the year. We believe performance opportunities are essential in developing professional confidence and practice. Being in a college with large numbers will reduce the chances you will have to benefit from this, so should be a key consideration when you are choosing a course. You are being training to perform, so we believe you should get the chance to practice as much as possible. In addition, our Professional Performer Company students are also part of ‘The Stageworks Events Team’. This select team perform at corporate and charity events. From September we will also be expanding this performance programme to include additional public performances where students will collaborate with and perform alongside experienced industry professionals. During rehearsals and performances you will be expected to work alongside these professionals as their contemporaries. The programme will give you a real insight into what it is like to work professionally and provide you with unrivalled public performance experience throughout your three year course that is rarely provided by training colleges, even at Diploma and degree level. Every aspect of the course is designed to maximise your employment prospects when you graduate and start working as a performer in the entertainment industry. With classes in professional practice for accounts management, self-marketing and promotion, we’ll provide you with the knowledge you need to do this for yourself as a professional performer. As your talent turns into a professional career, know that we are still there beside you and on hand every step of the way to offer support and guidance. You will not be forgotten once you leave us. 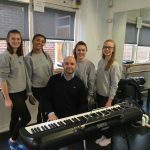 Each student on our Professional Performer Company Course has a designated teacher who is responsible for overseeing their development and training. Using their vast industry experience, these teachers work with each of their students to maximise their strengths, adapt their training programme and shape them into a unique and sellable performance package in preparation for graduation. All our Company students are represented by our dedicated talent agency, ‘Stageworks Talent & Theatrical Agency’. The purpose of agency representation is to assist you with self-promotion and audition / career opportunities. You can choose to continue to be represented by the agency after graduation. At the end of the three year course, what better way to celebrate your achievements than with a dedicated showcase to promote your talent and skill. You will also graduate with professional performance credits on your CV and we work with you to develop a package of marketing materials including headshots and showreels. Our teachers know all of our students by name and so networking and contacts in the industry are being made throughout training and your performances with professional artists. Fees for the course from September 2019 are £7,000 per annum or £4,000 per annum for students eligible for ESFA funding (ESFA funding will apply for two years). Scholarships are available, so we encourage students to audition as early as possible in the school year. Stageworks College is just around the corner from St Neots train station, meaning that you will be less than an hour from central London and the West End. We have a range of affordable, managed properties all within walking distance to the college and the station. Cost for your accomodation will range from £80-£90 per week including utilities. Students are also free to independently seek their own accommodation in the local area if they wish and they may be eligible for residential support or housing benefit to help fund accommodation. Find out which industry professionals have been working with our Diploma students this year.